A Midlands club could be thrown out of their league unless they stand down plans to take legal action over a massive points deduction. Burslem were docked 71 points by the North Staffordshire and South Cheshire League last year after being told they had incorrectly registered a player, a charge they hotly contest, citing discrepancies in the guidance offered during the registration process. The individual at the centre of the controversy, the former Leicestershire and Glamorgan allrounder Jim Allenby, is poised to take the NSSCL and a handful of administrators to court as a result of the decision. 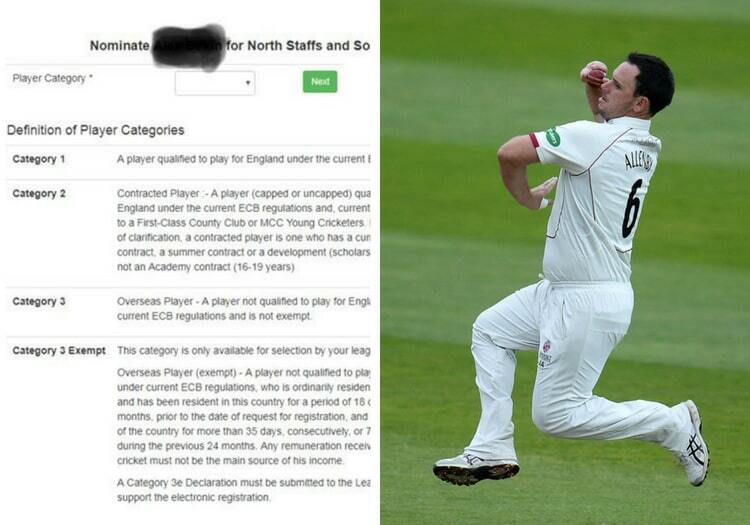 Allenby - an Australia-born UK resident and British passport holder who under ECB rules is eligible to represent England - was told that he should have been registered as a category 3 “overseas” player after failing to spend at least 210 days of the year up to March 31, 2018 in the country. Burslem appealed the initial ruling but the verdict was upheld. Allenby, whose contract with Burslem has since been cancelled, has taken legal advice on the matter and his lawyer, Doug Frame, began building a discrimination case in the autumn. The Cricketer understands Burslem had placed a deadline of February 21 for the matter to be resolved before serving formal notice of legal proceedings, but they could find themselves expelled from the league before that date even comes to pass. Twenty-six of the NSSCL’s 46 member clubs have signed a petition calling for a vote on whether or not to suspend Burslem from involvement in the league while court remains a possibility. Competition rules state that a majority is required to trigger a vote, which has now been scheduled to take place at a Special General Meeting of the league on February 20 at Newcastle & Hartshill Cricket Club. Each of the clubs, with the exception of Burslem - who will not be given the opportunity to address the meeting to make their case, will be asked to vote "yes" or "no" to the question: "In view of the threat of legal proceedings against the league executive officers and other named individuals, does your club vote to suspend Burslem CC from all league activities with immediate effect, and until such time as these threatened proceedings are concluded". The motion was proposed at a January 17 meeting of 31 member clubs by Hem Heath CC chairman Dean Hodson. Hem Heath also suffered a points penalty in 2018 following the NSSCL’s controversial clampdown on player registrations - there have been close to a dozen such instances in recent years - but he feels the league needs to be afforded protection against the possibility of legal action. "I’m doing this for the passion of the North Staffs and South Cheshire League, as are all the other clubs," he told The Cricketer. 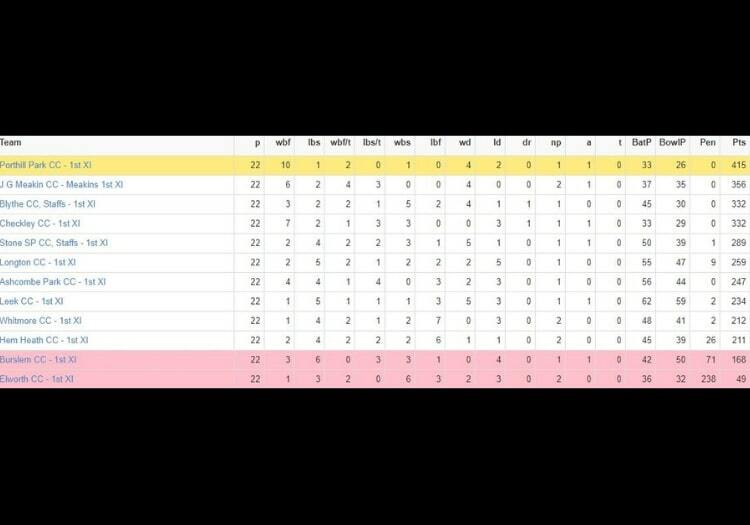 "A lot of clubs have lost a lot of points. We ourselves in the past have lost 71 points, and we were angry about it, but we never sued the league because we felt hard done by, when we knew the rules. "Our league rules are clear. We got it wrong, our registration chap got it wrong. "Everyone is sick of hearing what Burslem Cricket Club are going on about now when a lot of other clubs have fallen foul of points losses and never ever gone and sued their own league and the clubs within the league. "The clubs will have to play in there’s a shortfall if they win a case. "We are an open league, each club can do what they like, but it is the clubs’ responsibility to check what category of player they are." Hodson says a precedent needs to be established in cases of grievance such as Burslem's, and he is worried that there will be many fewer willing volunteers for league panels, including disciplinary groups, should there be a real threat of legal action. "They should be taking it up with the ECB and not issuing private writs to individuals who sit on disciplinary panels and go by our league rules, when they can do nothing about what the ECB status is," he said. "Every club has a right to do what they feel is right but they would know that if they decided to do this that all clubs would get together, call an SGM and they would be put on gardening leave until everything is sorted, if that’s the way they feel they want to go down. "It’s not just about Burslem Cricket Club, it’s about future cricket clubs doing this." Another club in the North Staffs and South Cheshire Premier League, Elworth, were docked 241 points. They too appealed unsuccessfully and are currently waiting on the ECB to give the case further consideration. Burslem, meanwhile, run the very real risk of having no league cricket in 2019, should legal proceedings be initiated and clubs vote in favour of their suspension from the league, as is expected.